This is a black Random Heli 8.0mm Skid Clamp Assembly. The STC8000 skid clamp assembly is compatible with any helicopter that uses a skid pipe that measures 8.0mm diameter. This is the first of three performance testing videos. It focuses on the smaller Clamp, the STC5560 but all three Skid Clamp models were tested on the same test rig. Despite significant deformation of both the Skid Clamp latch and base, we found that a single clamp can hold more than 3 times the weight of the heli it's designed for. Since your heli will likely be secured by a set of 4 clamps, that ought to do it. This is the second of three performance testing videos. In it both the STC5565 and STC9000 Skid Clamps are tested. Results indicate that both models can sustain repeated impacts of more than 10g. Putting that force into perspective, it's just a bit more than sending your heli straight up 300 feet in one second. This is the third of three performance testing videos. 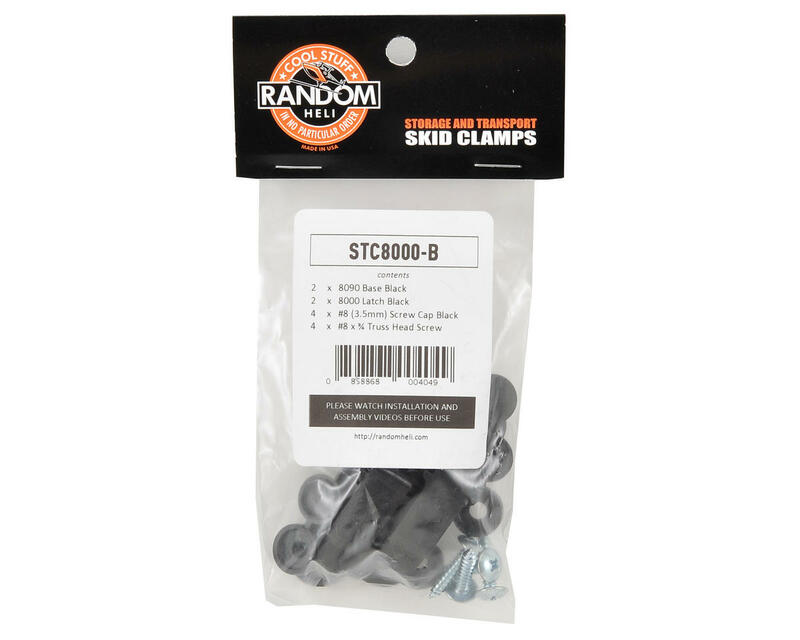 In it both the STC5565 and STC9000 Skid Clamps are tested. Using a purpose built test rig, the clamps are cycled >10,000 times in 5 hours. By the end of the test, the latch mechanism is less stiff and the grippers are somewhat relaxed. Yet even after 10,000 cycles, both models securely hold the skid tube when latched and both retain more than 75% of their original holding strength. Flexible grippers that hold the skid pipe snug, yet tolerate mounting misalignment. Center rib supports skip pipe when clamped. Remove it to allow up to 1mm "oversize" skids. Latch boss forces skid down onto center rib. Different size latches fit different skid sizes. 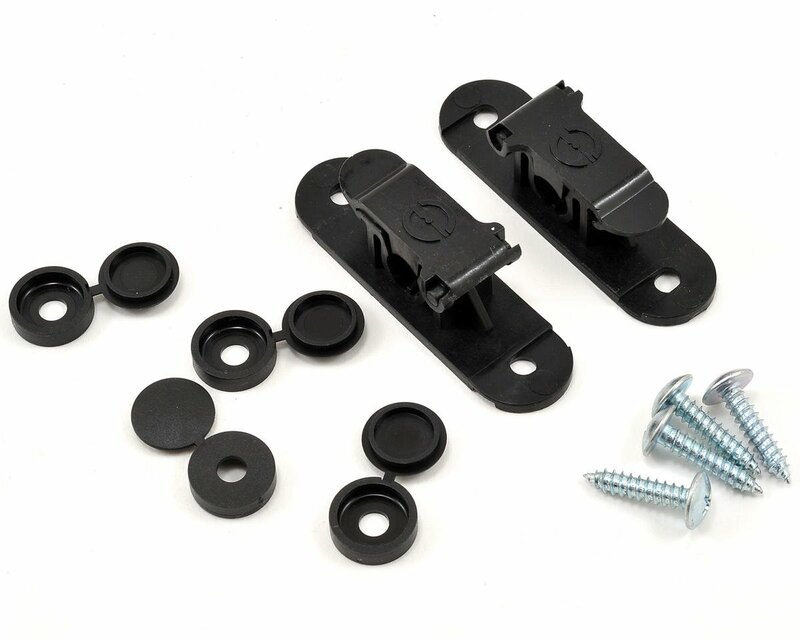 Truss head mounting screws and screw covers are included. Fits skid pipes that measure 8.0mm diameter. *User Mod: Remove some or all of the center rib in the clamp base to allow fitting of skid pipe up to 1mm larger that the nominal spec.